Happy Monday, Friends! Can you believe Valentine's Day is a little over a week away? 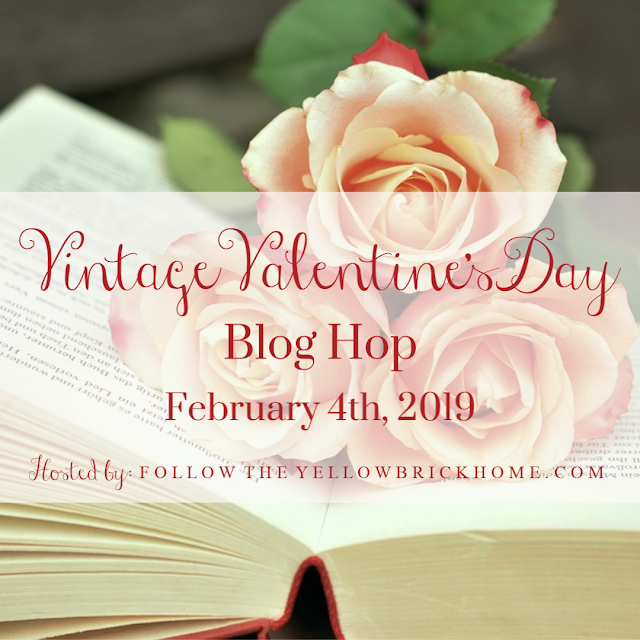 Today, I'm excited to be joining over 20 blogger friends hosted by Amber at Follow the Yellow Brick Home, for the Vintage Valentine's Day Blog Hop! 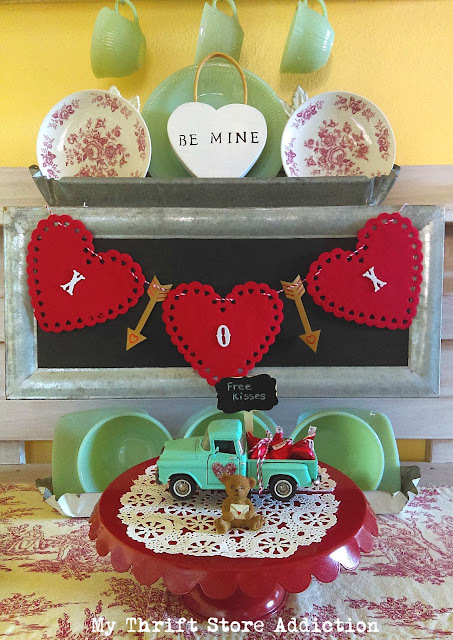 If you've stopped by after visiting Diana, from Adirondack Girl @Heart, I'm sure you enjoyed her adorable vintage Valentine banner. 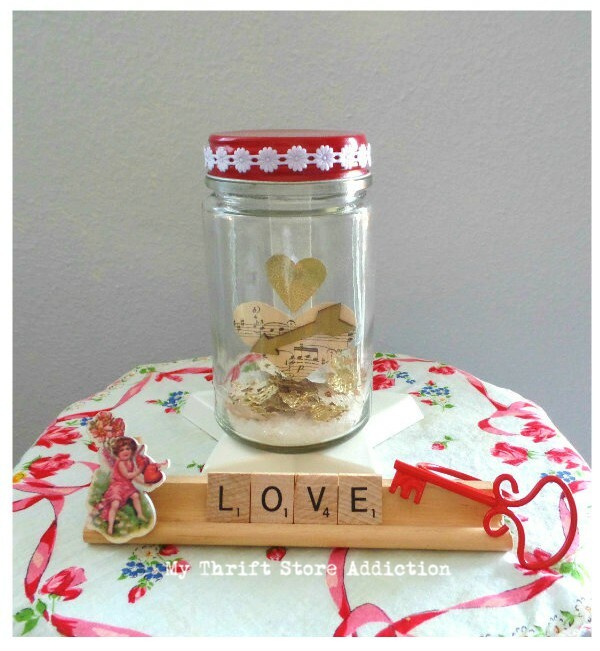 I've gathered some favorite Valentine decor, projects, and vignettes--all crafted by moi! You'll note they all share two things in common--something vintage and a touch of whimsy! Each photo includes a project link for the tutorial. Enjoy, and thanks for pinning! 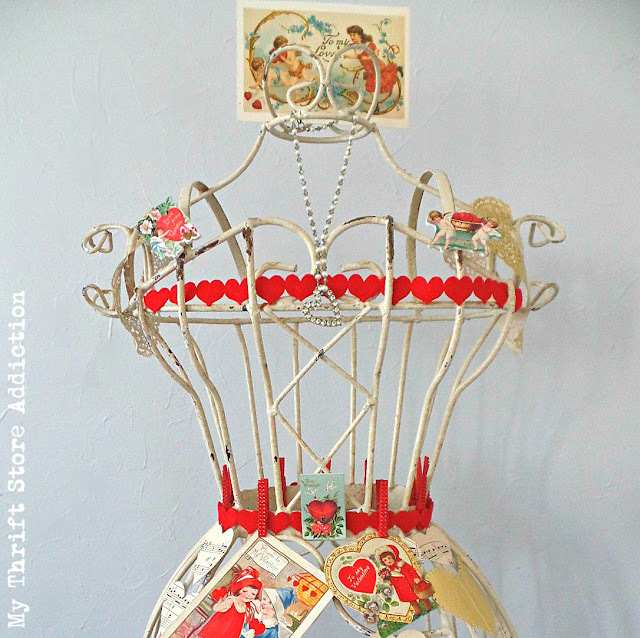 Queen of Hearts Dress Form...or Why I Still Play Dress Up! I hope my whimsical vintage Valentines brought a smile to your face! 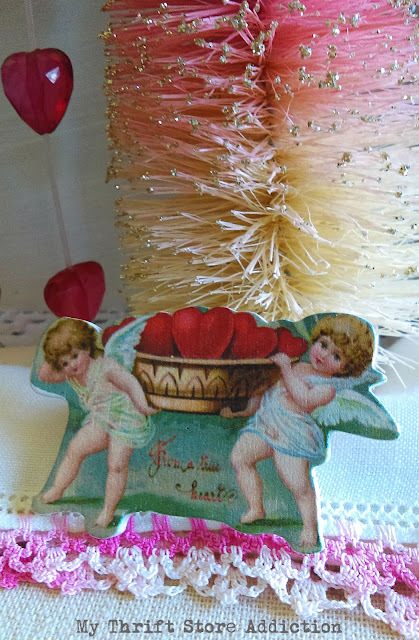 Remember to scroll down to the end of the post to view all of the lovely vintage Valentines! Next up--Angelina at Petite Haus! Cute, cute. I love that little green truck filled to the brim with Kisses. Adorable. 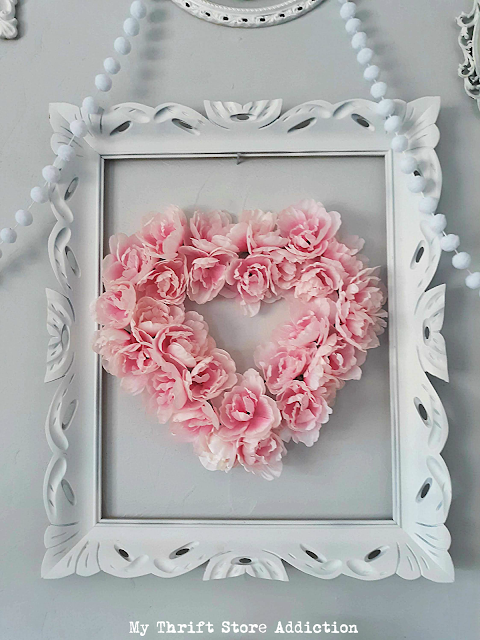 Loving all the whimsical Valentine decor and your peony heart wreath is the sweetest! Cecilia how pretty your vintage decor is. I love the dress form is. I love the touches you placed on it. Very pretty! Have a Happy Valentine's day my sweet friend! 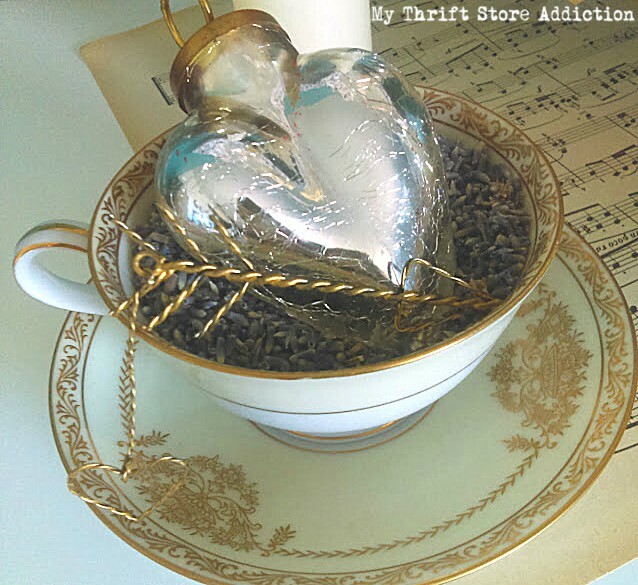 So many beautiful vintage pieces and I love the pink heart in the frame. 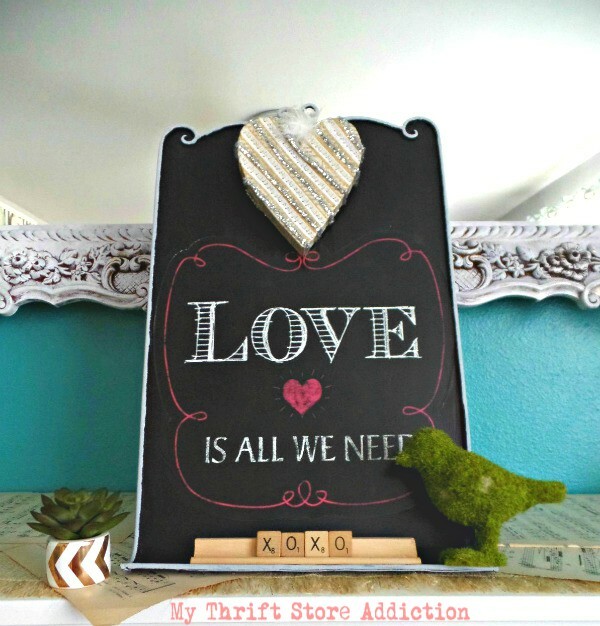 It's so much fun to see all the creativity in this blog hop! Have a great week! Love all of your festive and beautiful Valentine touches. So many cute ideas! Love it! O think my fave was the Jadeite green truck with free kisses; adorable! It's funny, I had just read Diana's post and am now ready to make a Valentine garland! I do love vintage Valentines's so much more than today's. You made the holiday seem very romantic; thank you! You have so many charming Valentine's projects,Cecilia! Such lovely decor! I love how you decorate with your dress form! It's so fun doing the hop with you! Cecilia, I always love everything you create! Perfect Valentines décor!! Your collections are amazing! I love the way you use them in creative, whimsical ways! I love that dress form, and how you change it for seasons. It is lovely in vintage Valentine! So many great ideas! My favorite is your dress form. I love seeing the different ways that you decorate it as the seasons change. How cute are all these ideas??? 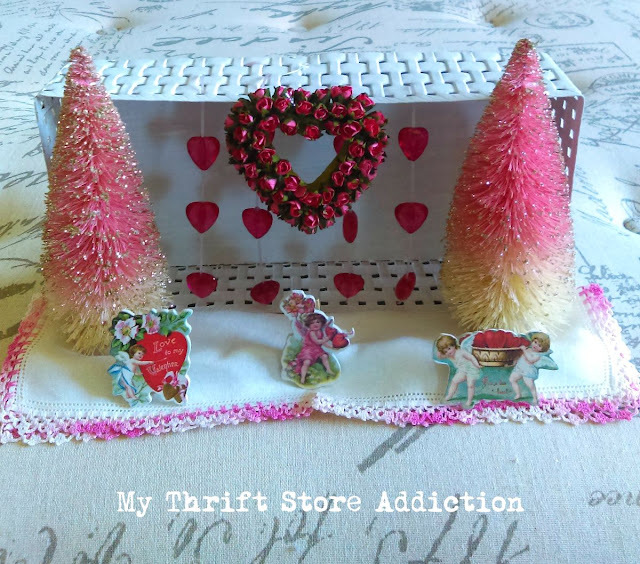 I love them all, especially the dollar store wreath and dress form with Valentines!Just absolutely adorable! Thank you so much for joining the hop! Have a Happy Valentine's Day! The dress form is so adorable as is that sweet little green truck. Cecilia, so many cute things for Valentine's Day. I love the little green truck! The dress form is really clever. Good to see you and share the blog hop. Your creativity always amazes me! 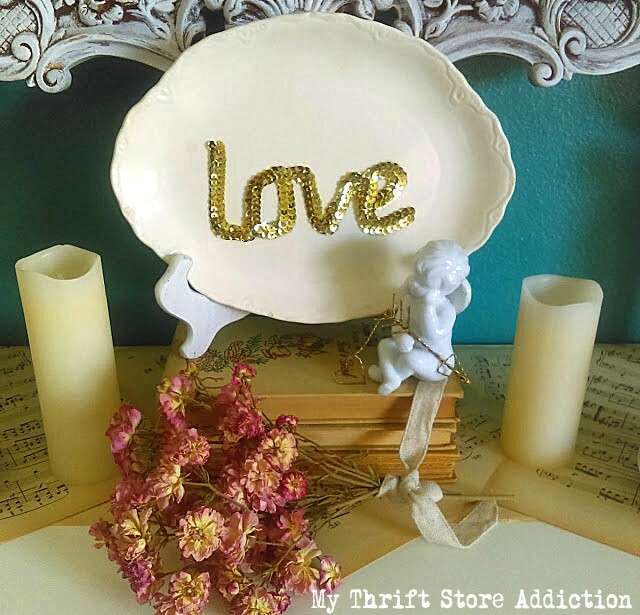 I especially loved you Valentine decor you paired with your jadeite! So lovely! 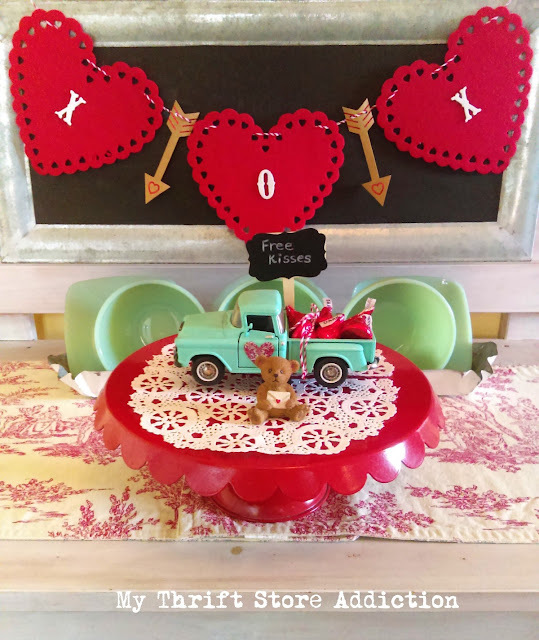 You have so many creative ideas for Valentine's decor! I adore all the vintage details!! 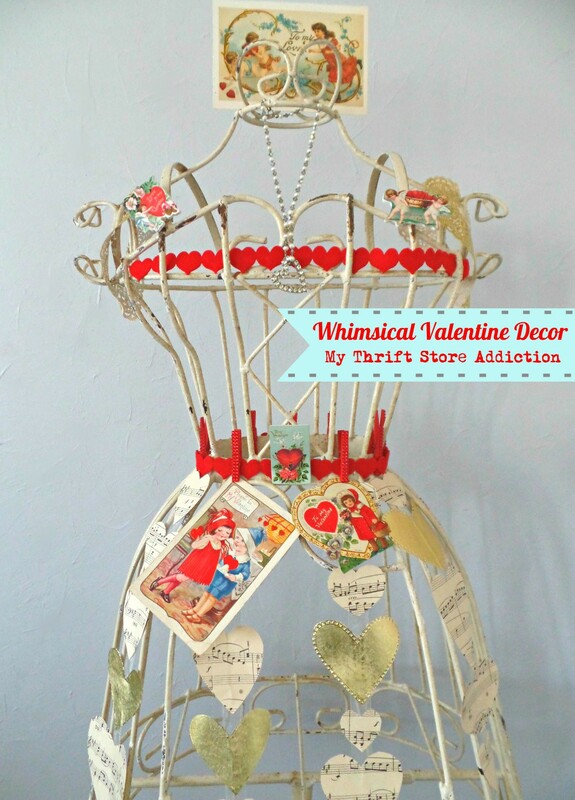 The dress form all dressed up on vintage valentine goodness is darling!! Love it all! Cecilia, you always create the most beautiful vignettes! I love the dress form adorned with Valentines! It has been so much fun blog hopping with you!